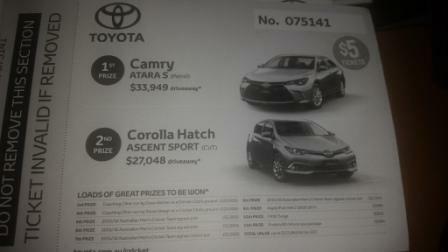 Our major fundraiser for the season is upon us, the Toyota Good for Cricket raffle. Prizes include two cars and every cent of proceeds goes to the club. We are looking to invest funds in specialist skills coaching and social room upgrades, to enhance the Friday night experience. It would be great if each family could take one book (ten tickets at $5 each). Rob will ask Team Managers to allocate one book per family. Books (sold and unsold) by Feb 19 at the latest please.